Ontologies have been developed for a number of knowledge domains as diverse as clinical terminology, photo camera parts and micro-array gene expression data. However, processing user queries over a set of overlapping ontologies is not straightforward because they have often been created by independent groups of expertise, each of them adopting different configurations for ontology concepts. A project being carried out at the Brazilian Corporation of Agricultural Research has produced ontologies in sub-domains such as beef cattle, dairy cattle, sheep and beans, among others. 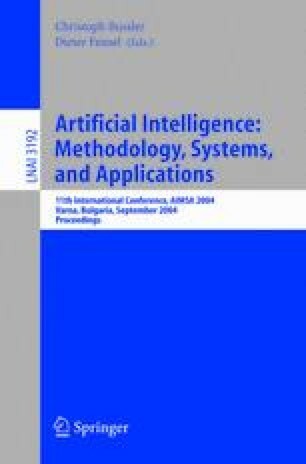 This paper focuses on an alignment method for these ontologies based on Formal Concept Analysis, a data analysis technique founded on lattice theory, and a strategy for processing user queries.